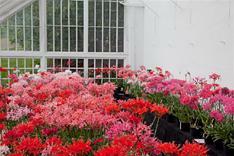 Discover Guernsey's annual Nerine Festival, celebrating the 'Guernsey Lily'. 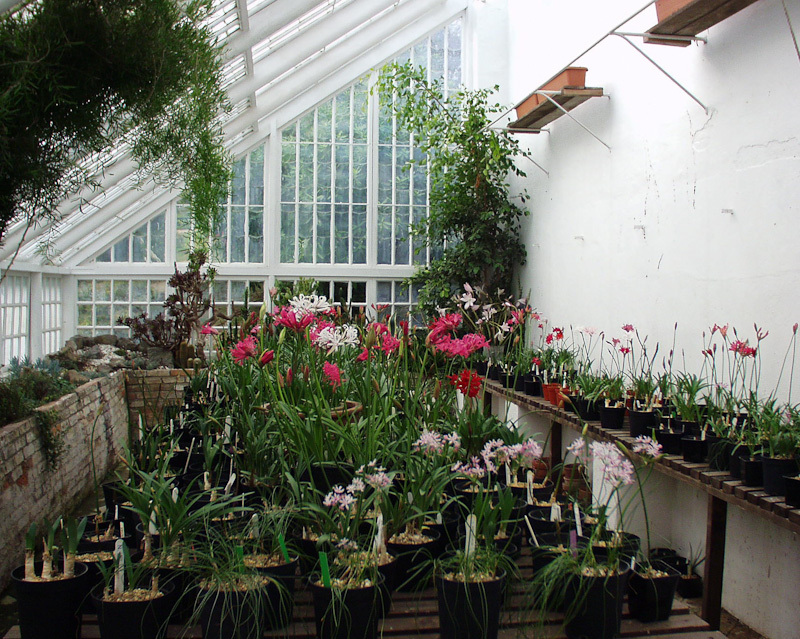 The event is held each October in the Lower Glasshouse, Candie Gardens. 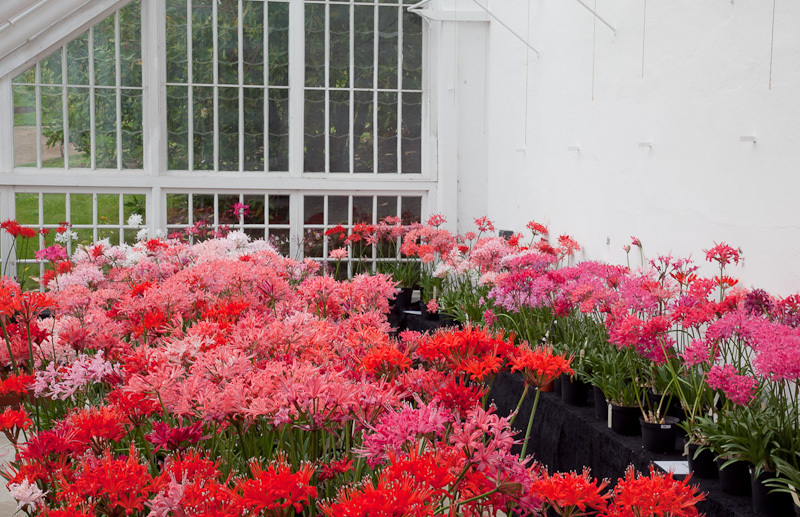 Each year, the Guernsey group of the National Council for the Conservation of Plants and Gardens organise a display of nerines in a restored Victorian glasshouse, in Candie Gardens. 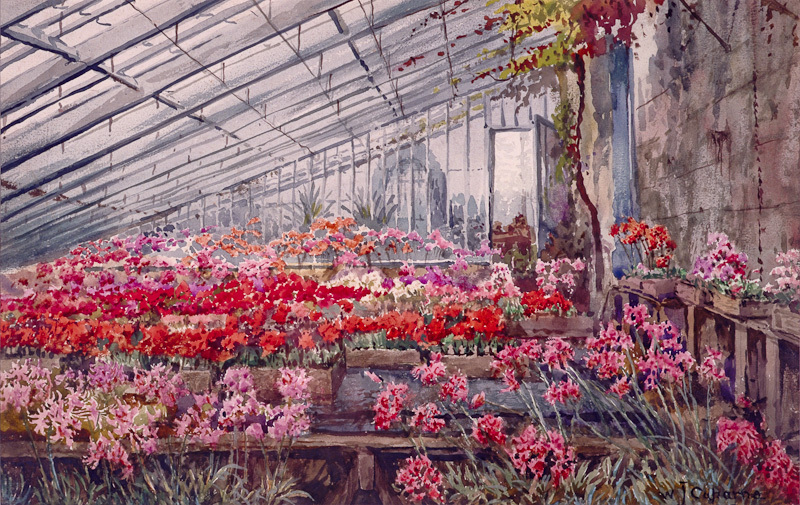 The display effectively re-creates a scene depicted nearly a century ago by the artist W.J.Caparne, in his watercolour 'A House of Nerines'. The painting is in the collections of Guernsey Museum. Nerines have a special significance for Guernsey, with the variety Nerine sarniensis being named for the island and popularly referred to as the 'Guernsey Lily'. How this link was made and how the first plants came to the island is a matter of some debate but theories range from the result of a shipwreck, to introduction by a political prisoner during the Civil War. 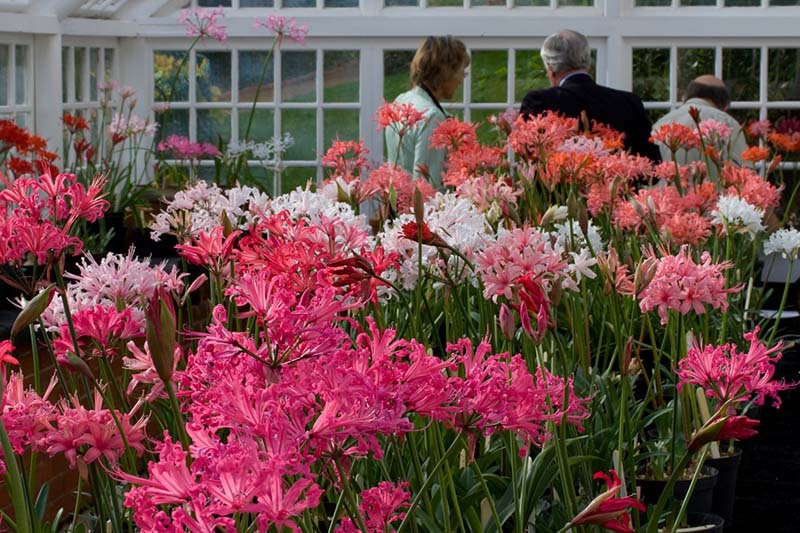 The result has been a special affection for the nerine and members of the local NCCPG group maintain a significant collection of cultivars and hybrids which they bring together for the annual Nerine Festival showing. The festival greenhouse will be manned by NCCPG members at the weekends, who will be pleased to answer queries; some nerine plants will also be on sale. The local NCCPG group have a website where further information about the Nerine Festival and their other activities may be found.